There are many school choir concerts, Christmas concerts, carols, orchestra concerts, choir concerts, brass band concerts, wind band concerts in Southend, local schools, churches and the surrounding areas. 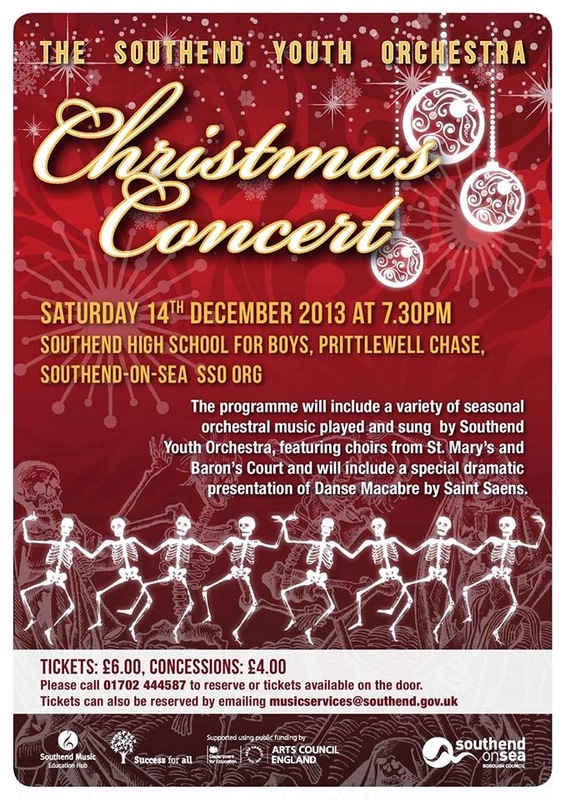 The programme will include a variety of seasonal orchestral music played and sung by Southend Youth Orchestra, featuring choirs from St. Mary’s and Baron’s Court and will include a special dramatic presentation of Danse Macabre by Saint Saens. Annual Carol Concert, supporting Vitalise. Mulled wine & mince pies after.